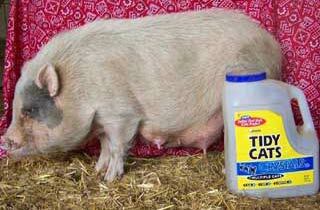 Growing up on a farm, I always enjoyed bottle feeding and playing with the runts that we brought in the house!! 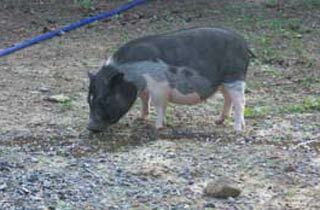 The first runt that became mine all mine was "Mary Jane" - she visited school, played chase, and lived in a doghouse in the backyard and at 600 plus pounds she still was very much my gentle pet. 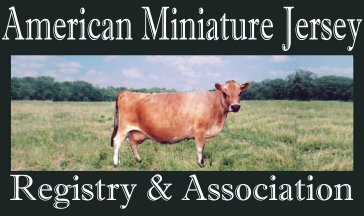 When I was teenager, I won "Earlene" in a greased pig contest. I trained her to sit, lay down, and do other tricks with her favorite food - bananas! She loved belly rubs! 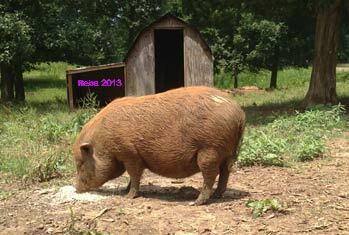 As she approached 500 plus pounds, I brushed and wished my "pet" could be smaller. 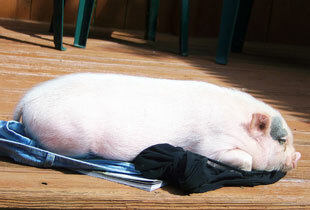 That's about the time potbellied pigs entered the news and I dreamed of the day I could have a pig in my house! That day came when I was in vet school at Auburn. I got Prissy! 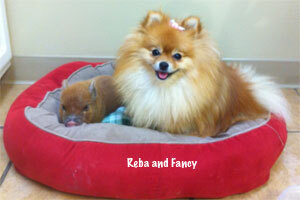 She lived in my duplex and became famous at Auburn Vet School! 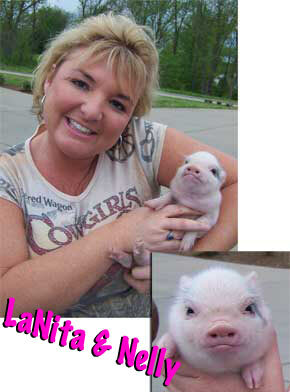 There is nothing cuter and smarter than a pig! Since then I have had Ellie, Annie, Pixie, Pepe, Nelly, Petunia, Dottie, and George - all raised in the house and spoiled rotten. 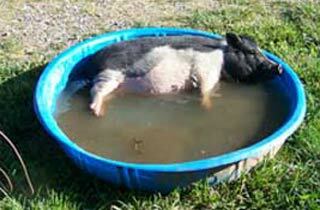 Besides being cute - pigs are so smart! 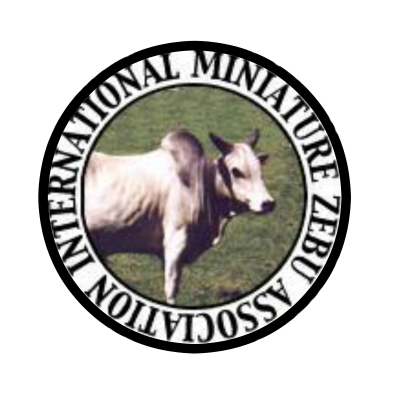 You would be amazed what they can learn to do! Pixie even went to work at my veterinary clinic everyday with me. 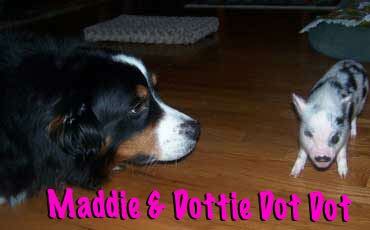 She learned to go to the door with her canine "sisters" and ask to go out to the bathroom. 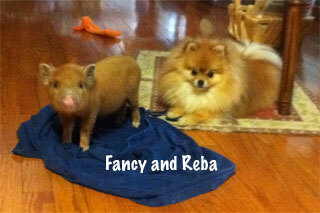 Reba is a red potbelly pig and is very sweet. She was also raised at the clinic and in the house. Her "Pom" sister Fancy loves her. 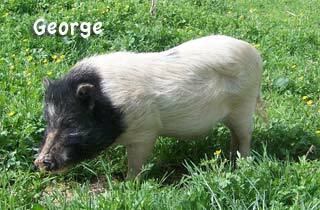 George is one of the herd sires to our piggy family. 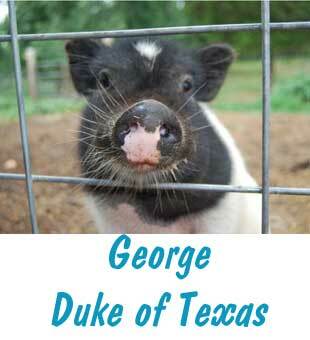 He came from Texas and is named after George Strait who also is from Texas. George comes from very tiny genetics and he is so sweet, but is a Momma's boy. 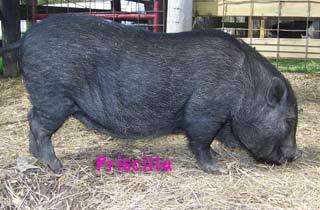 My pigs are healthy weights for potbelly pigs at 35-55 lbs full grown. 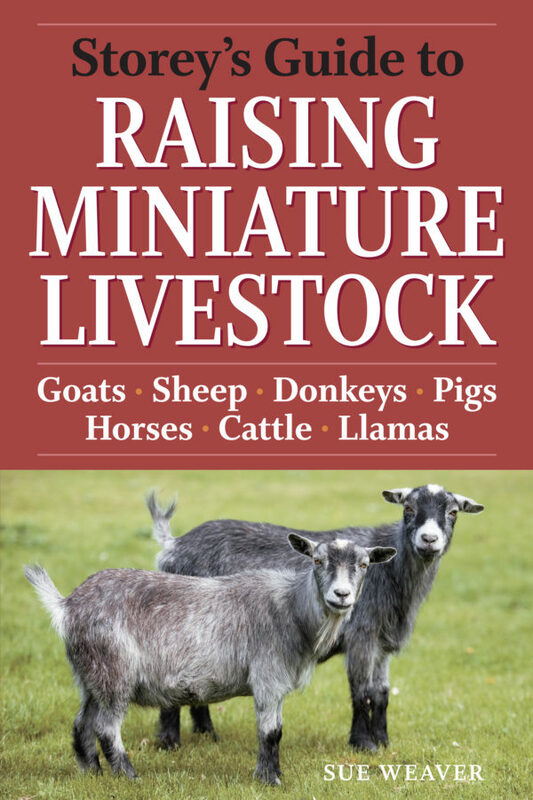 Even though you see pictures on the internet, there is no such thing as micro minis or teacup potbelly pigs. 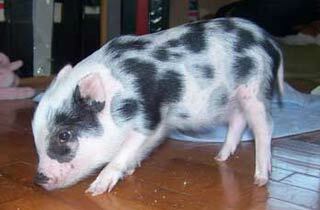 People are showing pictures of immature pigs. 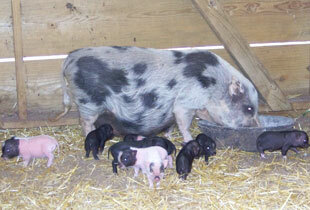 I breed the girls and have tiny babies in the spring of the year to sell - unless I decide to keep them all!!! 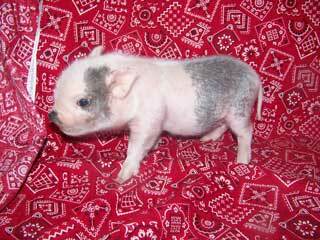 If you have reserved a kid from a certain pig, we will send you an email and pictures of those piglets when they are born first. You have 48 hours to respond if you want one of those. If not, the pictures will be sent out to entire reservation list first and again see if anyone on the list wants one in the next 48 hours. After that the pictures will be posted on our website for anyone to purchase.